The verdict came after five weeks of testimony and six days of jury deliberations in a proceeding that followed a mistrial in May. A federal jury convicted former Nassau County Executive Edward Mangano and his wife, Linda, of corruption charges Friday, completing the downfall of a Republican with blue-collar roots who rose to the top of government in one of the nation's richest counties. For prosecutors, the convictions delivered a long-awaited victory against corruption in Nassau County after several years of investigation and a trial and retrial held less than a year apart in U.S. District Court in Central Islip. Jurors deliberated for six days in the seven-week retrial, sending three notes before a final message at 11:02 a.m. Friday announcing they had reached the verdict that sealed the Bethpage couple’s fate. Edward Mangano’s head dropped when he heard the jury foreman pronounce him guilty of conspiracy to commit federal program bribery, the first count of the indictment. Linda Mangano, whose hands were shaking violently before the jury came in the courtroom, began crying. When the foreman soon read the first guilty finding against her, conspiracy to obstruct justice, Nassau County’s former first lady put her head down on the defense table before her husband laid a hand on her back. “I’m going to go home and take care of Linda. And then we’ll go on,” a grim-faced Mangano said after the verdict. A short time later, the former elected official vowed outside the courthouse that he and his wife would appeal their convictions. The panel found Edward Mangano, 56, guilty of conspiracy to commit federal program bribery, federal program bribery, conspiracy to commit honest services wire fraud, honest services wire fraud and conspiracy to obstruct justice. Jurors found Linda Mangano, also 56, guilty of conspiracy to obstruct justice, obstruction of justice and two counts of lying to the FBI. The jury acquitted Edward Mangano of extortion and another wire fraud count, and found his wife not guilty of another count of making false statements. Eastern District U.S. Attorney Richard Donoghue stepped forward in the courtroom after the jury left to congratulate trial prosecutors Lara Treinis Gatz, Catherine Mirabile and Christopher Caffarone, along with FBI Special Agent Laura Spence. “Edward Mangano abused his power as a public official by taking bribes and kickbacks from a businessman in exchange for helping him obtain loans worth millions of taxpayer dollars,” Donoghue said later outside the courthouse. 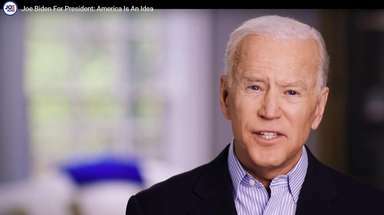 “No one is above the law,” Donoghue added. Prosecutors had alleged Edward Mangano took bribes from restaurateur Harendra Singh that included a $454,000 “no-show” job for Linda Mangano, free meals and vacations, two luxury chairs, ash flooring for the couple’s bedroom, and a $7,300 wristwatch for one of their sons. Once the FBI began investigating, the husband and wife conspired to try to cover up the trail of Singh’s bribes, the government had charged. In addition, the government claimed Edward Mangano also repaid Singh by steering two county contracts to him in 2012 that together were worth more than $400,000. 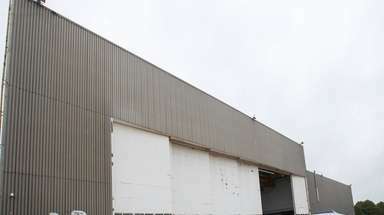 One was a bread and rolls contract for Nassau County’s jail. The other was a no-bid contract to feed relief workers at the county’s emergency operations center after superstorm Sandy. But the jury also found the government didn’t prove its accusations that Edward Mangano steered the two contracts to Singh. 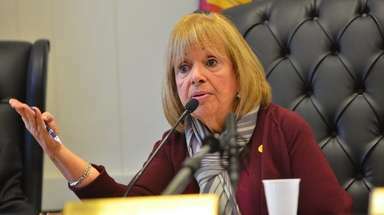 The retrial before U.S. District Judge Joan Azrack followed a mistrial for the Manganos last May at a three-month proceeding that also ended in former Town of Oyster Bay Supervisor John Venditto’s acquittal on corruption charges. This trial featured 42 prosecution witnesses and 484 government exhibits before the defense rested without calling anyone to the stand. During the Manganos’ first trial, the government called 60 witnesses to testify and presented more than 1,100 exhibits. With Friday’s verdict, Edward Mangano joined the ranks of disgraced New York political figures Dean Skelos, the former State Senate leader, and Sheldon Silver, the former state Assembly speaker, whom juries have found guilty of federal corruption charges in the last year after retrials. A Queens native who grew up in Bethpage, Edward Mangano worked his way up from a high school job as the janitor of a printing company, where he and Linda met, to becoming the owner of that business before his legal career bloomed. Edward Mangano then transitioned from law into politics by holding a part-time position on Nassau’s Legislature for more than a decade, before his ascent to county executive after a surprise election victory that followed weeks of ballot recounts. Linda Mangano, the longtime publisher and owner of the Bethpage Tribune, has had a 30-year career in advertising, graphics and public relations and has played an active role in her hometown’s Chamber of Commerce and PTA. Both husband and wife, who have two sons, graduated from Bethpage High School. The Manganos are each facing up to 20 years in prison, but a lower sentence would be more likely under federal guidelines. The judge said she would wait for probation reports, which can take several months to prepare, before setting a sentencing date. Prosecutors didn't ask for the Manganos, who are out on bail, to be remanded into custody. A tearful Linda Mangano said outside the courthouse after Friday’s verdict that she was happy the retrial ordeal was over. She also thanked her supporters. He called it "right through the heart hurtful, that Linda has to go through any of this." Edward Mangano also commented on what he dubbed "a brutal legal system" that had been emotionally and financially draining. "Unfortunately, our system is much less a quest for the truth, than it is to convict at almost any chance," he added. Most jurors didn’t comment after the verdict. But the jury’s foreman said in an interview that the panel would have reached the same conclusion without the testimony of Singh, the prosecution’s star witness. “When we reached our decision, even if Singh didn’t testify, we would have come to the same decision that we had,” said Joseph Marino, 62, of Queens. “We wanted them to be innocent,” Marino said of the jury’s view of the Manganos. But he said the panel did its civic duty. “We weren’t happy with the verdict but that’s what the evidence said,” the foreman added. That juror, who declined to give his name, said the panel focused on the Oyster Bay loan scheme during its deliberations. He said the jury didn’t find Singh or Leonard Genova, Oyster Bay’s former deputy supervisor, to be credible witnesses. But the defense portrayed Singh, 60, of Laurel Hollow, as a liar who testified against the Manganos to try to win leniency before his sentencing for crimes that include bribery, conspiracy and tax evasion. Singh is a “morally bankrupt sociopath” who perjured himself on the witness stand, Keating said in his closing argument. 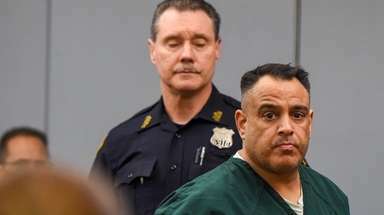 The defense contended throughout the trial that the perks Singh provided were simply gifts from a longtime family friend, and insisted Edward Mangano never took any formal government action in return. 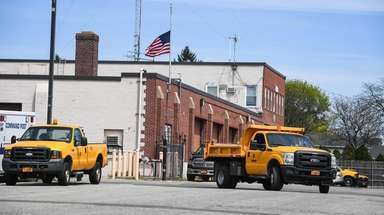 Singh only won part of the bread and rolls contract after the late Peter Schmitt, then the county legislature’s presiding officer, stressed contracts should go to local vendors, the defense claimed. Keating also contended other county employees who were close to Singh made sure the restaurateur got the contract after Sandy, not the county executive. Singh testified for six days, recounting how he lavished bribes on the Manganos only after Edward Mangano became Nassau county executive. Singh previously pleaded guilty to bribing Edward Mangano, Venditto and New York City Mayor Bill de Blasio — who wasn’t criminally charged. Singh acknowledged during cross-examination in the trial that when it came to Oyster Bay, town officials rarely said no to him. He agreed Oyster Bay granted him concessions agreements and then extensions to those deals at the Woodlands catering venue on a town golf course in Woodbury and at Tobay Beach years before Edward Mangano became county executive. Testimony showed Singh in 2006 built a basement conference room at his now-defunct flagship restaurant, HR Singletons, for Venditto to use for business while enjoying dishes of angel hair pasta — specially stocked for him. During the trial, the defense also highlighted a 2015 body wire recording former Oyster Bay deputy attorney Frederick Mei secretly made for the FBI of a conversation with Singh. Mei pleaded guilty to honest services fraud and admitted during the Manganos’ first trial that he accepted bribes from Singh. While Mei didn’t testify at this trial, Keating played that body wire recording for jurors, in which Singh said Edward Mangano had done “nothing” for him. But Singh, who also admitted bribing Mei, told jurors he lied to Mei about interactions with Edward Mangano. 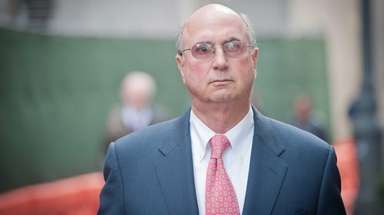 Prosecution witness Jonathan Sinnreich testified that in 2010 he advised Oyster Bay officials against backing loans for Singh, saying such a transaction would violate the state Constitution. Then the town’s outside counsel, Sinnreich also told jurors about an April 2010 meeting at Venditto’s political headquarters that prosecutors say was key to Singh landing a loan deal after the municipal attorney’s sharp criticism. Sinnreich testified Edward Mangano put his hand on Singh’s shoulder at the meeting, echoing a comment Venditto made about finding a way to help the restaurateur. Genova, Venditto’s longtime second-in-command in Oyster Bay, testified Edward Mangano played a key role in Singh landing the town-backed financing. Testifying with immunity, Genova said Mangano began lobbying Venditto to help Singh get financing as soon as Mangano became county executive. He said a call from Mangano to Venditto even put the first loan deal back on track after Sinnreich warned the town against it. Genova also testified that attorneys from Edward Mangano’s former law firm, Rivkin Radler, were brought into the picture at Edward Mangano’s suggestion to try to find a way to make the transaction work. Genova said Venditto then pushed Mangano at the meeting’s end to hire and promote members of his Republican club. Prosecution witnesses also included former Singh employees and outside contractors who testified they handled marketing duties Linda Mangano reportedly took credit for when speaking to the FBI. Unlike at the first trial, an indictment before the retrial included 11 specific lies Linda Mangano allegedly told federal officials — mostly about her job with Singh. Government witnesses testified they had little or no contact with Linda Mangano in the workplace, and if they did, it was because she appeared to be a guest of Singh, not a restaurant employee. But Carman argued a “low-show” job isn’t illegal. The defense attorney pointed to emails that showed the county executive wife’s worked on projects in 2010 with the manager of Singh’s former Queens restaurant, Water’s Edge. Carman also suggested the FBI “set a trap” for his client after she agreed to talk to investigators once at her home and twice at their office in 2015. The defense attorney lambasted an FBI agent’s note-taking process and criticized investigators for not recording his client’s statements – something the prosecution said Linda Mangano’s attorney also didn’t do at the office meetings. By its verdict, the jury found Linda Mangano didn’t lie when two FBI agents visited her at home, but jurors found she did lie in the other meetings. In his testimony, Singh also described watching the Manganos break down in tears at a 2015 meeting at their home as they fabricated stories to try to explain his bribes to the FBI. The former restaurateur said he met four times with the couple to get his “story straight” about how to describe Linda Mangano’s work for his company and other alleged bribes. “Oh my God, I'm going to end up going to jail," Linda Mangano said, according to Singh's testimony. “Don’t worry. I’m going to jail, not you,” Singh said Edward Mangano told his wife. Count 1, conspiracy to commit federal program bribery: Edward Mangano, guilty. Count 5, honest services wire fraud, Nassau bread and rolls contract and OEM food procurement: Edward Mangano, not guilty. Count 6, extortion: Edward Mangano, not guilty. Count 7, conspiracy to obstruct justice: Edward Mangano: guilty | Linda Mangano: guilty. Count 8, obstruction of justice: Linda Mangano, guilty. Count 10, false statements, May 20, 2015: Linda Mangano, guilty. Count 11, false statements, May 22, 2015: Linda Mangano, guilty. Corruption on LI: Mangano and 9 other cases to knowOver the past few years, prosecutors have charged LI politicians and public officials with crimes ranging from tax evasion to bribery. 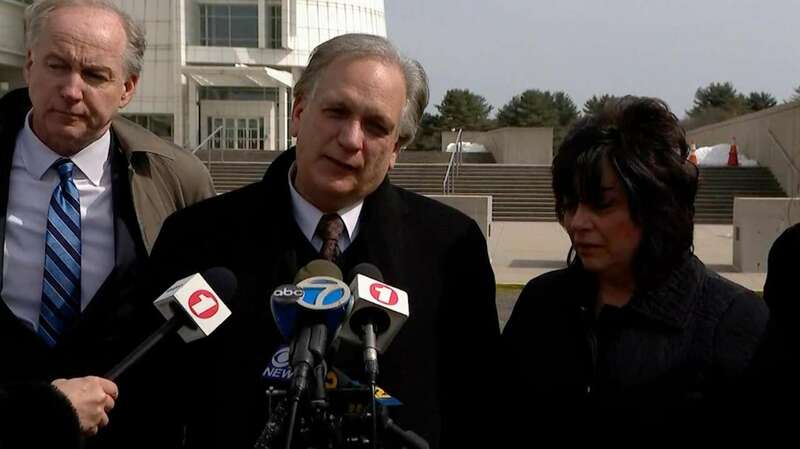 Timeline of the Mangano corruption caseFormer Nassau County Executive Edward Mangano and his wife, Linda, were convicted on corruptiuon charges ... Foreman: Jury had little use for Singh"We had so much to go through," he said. "Most of us went in there with the intentions that they were innocent, but as we started going through, the evidence was just starting to reveal ultimately what became our verdict."